Australia is vulnerable to emerging methods of interference by foreign states such as economic blackmail and the type of cyber attacks Russia has used against other countries, warns a new paper published by the Committee for the Economic Development of Australia. While asylum seekers coming by boat, terrorism and a naval attack by China are the three most commonly named security problems named by members of the Australian public, they “are not the main security threats to national wellbeing that Australia and its regional partners now face,” writes Professor Greg Austin in a chapter on cyber security. 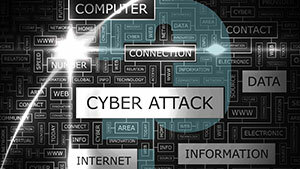 Complex, emerging threats such as cyber security are more difficult to understand and explain, and are thus less attractive to politicians and the media, but should not be overlooked, he argues. “The Australian Government places great importance on military security in cyber space both for its own sake and for its potential role in international collaboration for mutual economic benefit and national economic prosperity. The Australian Defence Force is on the cusp of a revolution as it prepares to reorganise for cyber-enabled warfare; and the Australian cyber security industry is set for significant growth. China and the United States would move to disable the adversary’s military and civilian cyber technologies if war eventuated, or perhaps even pre-emptively, the report notes. This presents “almost insurmountable” challenges for middle powers like Australia. Australia’s regulation of potential economic threats has also failed to keep pace with the changing security environment. “Where Australia appears relatively ill-prepared is in its readiness to deal with unconventional sources of influence,” argues the ANU’s Michael Wesley, in his chapter on international security. “The tenor of debate in Australia about Chinese investment, and influence on Australian political parties and universities has reached unprecedented levels over the past year, arguably reflecting a lack of preparedness or clear strategy in Australia for countering unwelcome influence. Strengthening cyber capability also dovetails with economic development. Although governments — Victoria and the Commonwealth in particular — have been making strong efforts to attract companies and grow the civilian cyber security economy, direct government investment for its own cyber security purposes will be the most effective way to grow the market, thinks Austin. “Cyber security for national military defence is a very different phenomenon from cyber security for the defence of enterprises and individual citizens (the civil sector). The Australian Government has staked much in public on development of civil sector cyber security capabilities, through industry promotion and development of a much-needed national skills base. “This is a sort of techno-nationalism (protectionism) that is somewhat out of touch with the realities of a globalised knowledge economy in which US and European firms dominate. Many services for cyber security in Australia are already provided remotely (offshore) through system and network monitoring.